Remember the line in movies when the dashing hero marries his princess bride? The celebrant says something flamboyant and portentious along the lines of “By the power vested in me by the State of [insert fave town] I now declare you legally married!”… followed by a romantic dip kiss and fountains of rose petals and cheering and happily ever afters. When I officiate a marriage ceremony, I don’t actually trundle out the words “power vested in me”, but the fact is, I do actually have the Government’s seal of approval (via the Registrar-General of Births, Deaths and Marriages) to lawfully marry people, and I am very proud of it! While there is not that much that is legally required in order to get married in Aotearoa New Zealand, as is often the case, the small things are the big things. That is to say, a marriage is not legal without a marriage licence issued by BDM, and a registered celebrant taking a lead role in the ceremony. I sometimes receive enquiries from couples wanting to know whether I can attend their wedding to “just say the legal bits”, while a friend, relative, or cultural representative (who is not a registered celebrant) writes and delivers the rest of the ceremony for them. Other couples have asked celebrants to conduct a ceremony in the absence of a marriage licence (for instance, because they have forgotten to get one!) or because they have already been legally married overseas. a registered celebrant attending a marriage ceremony as a “second officiant” cannot simply be a bystander. S/he must take a LEAD role in the proceedings, and is required to state that they are the licensed celebrant, conduct the vows and declare the marriage, and sign the marriage documents. NB: “licensed celebrant” means that celebrant’s name is on the license issued by BDM at the time the application to marry was made. a registered celebrant cannot pretend to marry a couple in the absence of a marriage licence. an unregistered person acting as a “celebrant” must NOT give the impression that the ceremony is a legal marriage. In each of the above instances, the celebrant could be prosecuted. 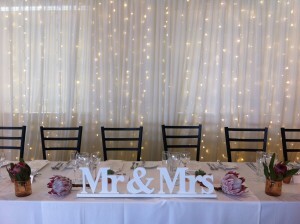 It’s fine to hold a ceremony that does not result in a legal marriage, provided that the celebrant (registered or otherwise) clearly declares to those witnessing it that this is the case. In all cases, honesty is the best and only lawful policy: the person conducting the ceremony should make it clear that it is a confirmation of vows, or anticipation of marriage; and there should be no “pronouncement of marriage” or pretence of signing marriage papers. Otherwise, your “happily married ever after” might just be “happily”, and your romantic movie moment might be less Princess Bride, and more Rowan Atkinson’s comedic floundering in “Four weddings and a Funeral”!